Ask any football follower about the greatest players to play the sport and Diego Maradona will gloriously be at the very top of most lists. A career that started and ended in his homeland of Argentina, Maradona’s path detoured at some of football’s most prestigious locations – Boca Juniors, Barcelona, Newell’s Old Boys and famously Napoli, where he earned a large part of his legendary status. 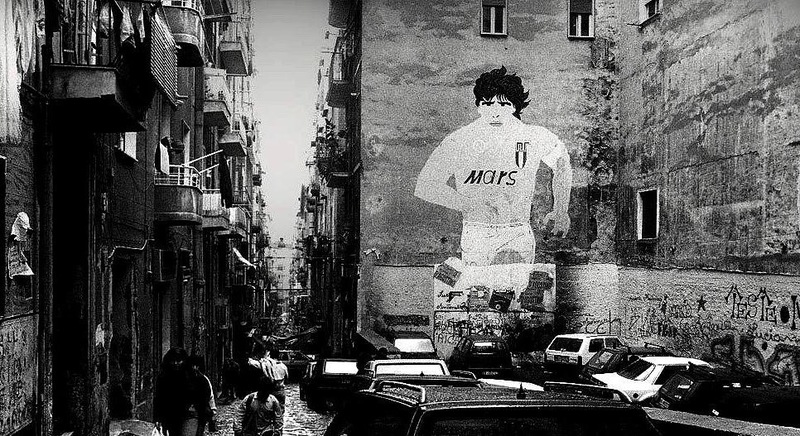 It’s no secret that Maradona is worshipped like a God in Naples, with shrines, murals and souvenirs present all over the city. He’s welcomed back with open arms – despite being unable to travel back to Italy at the moment – and even has his illustrious number 10 shirt retired in homage to a sensational seven years at the club, where he not only made himself a renowned figure in the football history books, but also gave the club the aura it has today. Maradona owned the imagination of the entire city – this was his backyard, and everything revolved around him. Such was the cult of the man that he commanded respect, despite being a cheat at a World Cup, drug-addict and hardly an off-pitch role model. 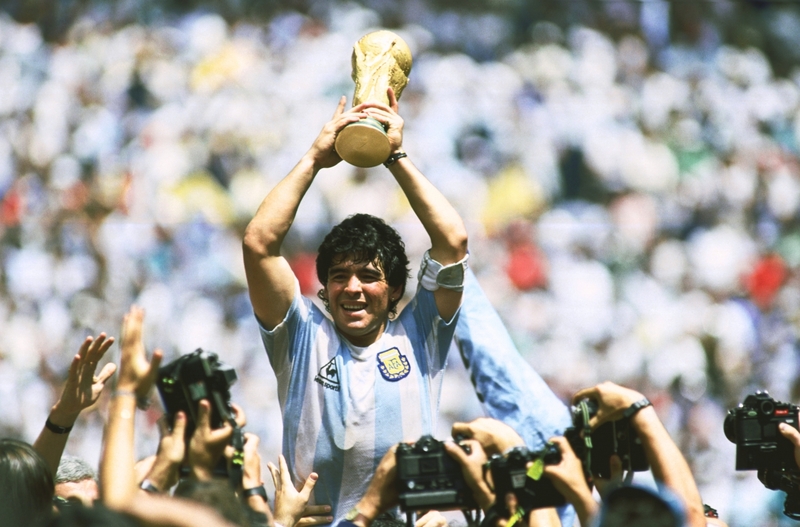 The World Cup in Italy in 1990 gave everyone the final few glimpses of Maradona at his best. It was rumoured that even some Napoli fans supported Argentina so that their idol could get his hands on the World Cup trophy once again. Argentina faced the hosts in the semi-finals of the tournament and the ultras of the club, much to the ire of the rest of the country, still supported their hero – although no en masse as many would have you believe. 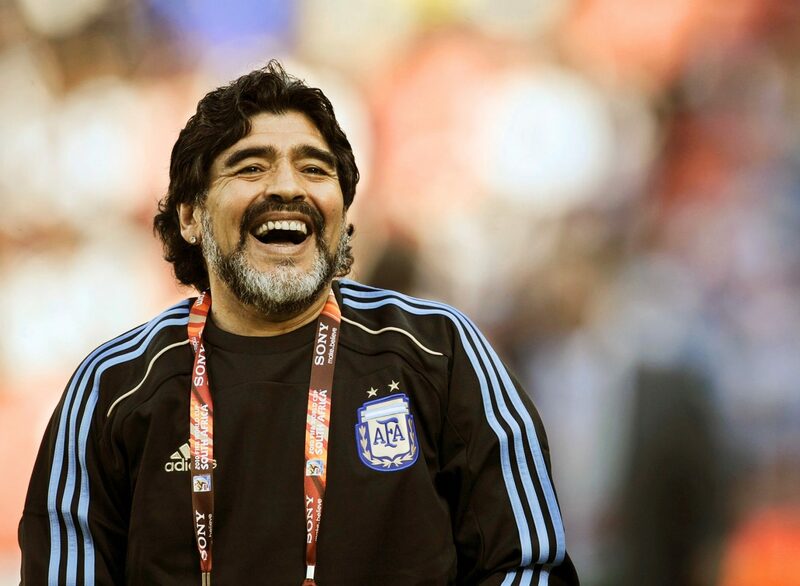 That, however, was probably the last time in Maradona’s playing career that he was so adored in that region. Argentina’s loss in the final to West Germany saw him earn sympathy, but things were about to get worse. He would soon be banned for 15 months after failing a drugs test for cocaine, and his alleged links with the Camorra caused a commotion around the town and in the Napoli boardroom. Failing to appropriately patch-up his dodgy relationship with the men at the helm and new manager Claudio Ranieri meant that an end to Maradona’s love story in Naples was close. 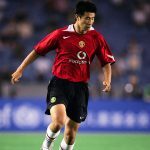 In the summer of 1992, the World Cup winner was struggling to find a new club for himself, and many saw him becoming a liability rather than a player regarded as the greatest of all-time. His first preference was a return home to Boca Juniors for the final stages of his career, but his wage demands were too high for a club that was going through a relatively dry spell. Marseille, on the beautiful south coast of France, was another option, but his personal problems and lack of match practice, as well as his greatly evident increase in weight, put doubts on the move. It finally came down to Sevilla, whose long-term plan with emerging stars such as Diego Simeone and Davor Šuker, caught the eye of El Diego. Maradona cites the manager, Carlos Bilardo, as the main influence behind his move to Spain’s most picturesque city. Bilardo was the man who led Argentina to their second World Cup honour in 1986, and a partnership between the two seemed like a match made in heaven. Just like everything that involves Maradona, however, his move over to Seville wasn’t going to be simple. Napoli president Corrado Ferliano was intent on not becoming the man who let go of Diego Maradona and his protracted transfer away dragged on for a long time. With the Argentine adamant about departing and Napoli equally as adamant on keeping their man amid Sevilla interest, FIFA’s authority was forced upon this sad divorce between hero and club. In the end, Ferliano got his way. Maradona’s demands for returning to the club were far too irrational and Ferliano could tell the world that it was his greed that enabled him to leave the Patronepei. Diego Maradona’s start at Sevilla was impressive, and everything the fans, as well as the board, could have hoped for. Visibly out of shape having not played consistent football for nearly two years, he mesmerised the crowds in his early days at the club. Maradona recorded his first appearance away at the historical San Mamés against Athletic Club with an assist in a 2-1 defeat and followed that up with the winner from the penalty spot against Real Zaragoza in his home debut. Maradona showed glimpses of what he could be like once his resurgence was complete. In his early days, he was the fulcrum of the side. Whether Sevilla played well or not depended upon whether Maradona was playing well, and he controlled the side with his world-beating left boot. He was also forming a fine partnership with the emerging Šuker, who was in fantastic form just beyond Maradona. In addition to that, he was a cash cow that Sevilla made the most out of, earning nearly £2.5m more through ticket and merchandise sales than the previous seasons. He continued his fine form through the course of the campaign, scoring a beautiful free-kick against Celta Vigo and a splendid volley amidst a raucous Ramón Sánchez Pizjuán against Sporting Gijón. Sandwiched between those two games was a tie against the country’s most illustrious club, Real Madrid. This time, Maradona didn’t get on the scoresheet in this game; it was Šuker and Marcos who found the net in either half, but Maradona’s performance that night was arguably his greatest in Spain, including his Barcelona stint from a decade prior. Real Madrid were a side on the up at the time and had supremely talented defenders, led by Fernando Hierro and Manolo Sanchís. But as players who had not yet entered their prime, they were given an early lesson by the revitalised Maradona, who was replicating the magic of ’86 by once again showing off what made him the greatest number 10 of all time. With his intricate feet, he controlled the tempo of the game, leaving defenders bewildered and bothered, often making them question their statuses as professional footballers in the heart of the defence. That 2-0 defeat was a lesson for two esteemed footballers who would go on to rack up more than a thousand combined appearances for Los Blancos. With a morale-boosting phase of form, and with Sevilla performing just as they expected considering the wealth of talent that they could put out on the pitch every week, Maradona’s decision to reject the advances from Europe’s other sides was proving to be the right call. He managed to carry on his fine form until the second half of the 1992/93 season and almost past the Spanish winter. But as the season passed by, Maradona’s ego continued to grow, and that was to form a divide between him, the fans and the hierarchy at the club. Maradona’s cult status with the Napoli fans and boardroom wasn’t replicated at Sevilla, who rightly treated him as just another footballer at the club rather than one of the greats, and gave him the same services as all the other personnel in the team. At Napoli he could travel to his native Argentina to represent La Albiceleste at his convenience, given his pedigree and influence upon the club. In Seville, however, this unfit, chubby and controversial star wasn’t afforded the same freedom and had to earn his flights back to South America. His first such clash with the board occurred in February 1993, when he demanded the permission to represent his national side against historic rivals Brazil in the AFA centenary game, then play against Denmark in the grand Artemio Franchi Cup – the tie between the winners of the Copa América and the European Championship, who at the time were Denmark. Sevilla requested that Maradona only participated in one of the two games to accommodate him in a league fixture against Logroñés. Instead, he decided to defy the Sevilla board and play all three games, with two being in South America. Worse still, he put on an awful showing away at Logroñés to keep himself fully fit for his international fixtures and further anger everyone associated with the club. Just when one thought Maradona was turning the corner following a drug bust, eventual suspension and a refreshed start at Sevilla, he was back at it again with his old customs. He was disbursing penalties for racing his Porsche around town amid reports of him spending time at nightclubs deep into the night. The hitches caused club president Luis Cuervas to hire a private detective to follow Maradona’s steps and keep him in order, but he was simply uncontrollable following his fine start. The man had become a mere parody of his former self, and now more than ever, was in the worst shape of his life physically, mentally and professionally. In a league game away at Tenerife at the start of 1993, he talked himself into a bizarre red card for trying to seek revenge for a tackle from international teammate Fernando Redondo. Perhaps the coup de grâce arrived in his misunderstandings with coach Carlos Bilardo – the man who helped make him a world champion in 1986. In the penultimate game of the season at home to Real Burgos, with Sevilla leading 1-0 at half-time, Maradona asked to come off at half-time after complaining about troubles with an existing knee injury. Unmoved by his star’s antics, Bilardo asked Maradona to take painkilling injections to treat the injury and see out a good part of the second half, to which El Diego reluctantly obliged. But just minutes after the restart, Maradona was taken off in a bizarre substitution. Sevilla would end the season in seventh place, five above their finish from the 1991/92 season. Despite the fanfare that surrounded Maradona and his move to Seville, his moments of magic were few and far between. The move was a dreadful marriage that was destined to end in divorce – not unlike how he ended his time in Naples just a year prior. Towards the end of his career, Maradona was back home with Newell’s Old Boys for a year and later Boca Juniors for two seasons between 1993 and 1997, via another drug scandal that ended in disgrace at the World Cup in 1994 and which subsequently pulled the plug on his international career. A star attraction wherever he went, it was his days at Sevilla that are often regarded as the worst of his professional career and rarely mentioned when the greatness of the footballer is being talked up.